Hi, and welcome to my kitchen! Let me show you around. 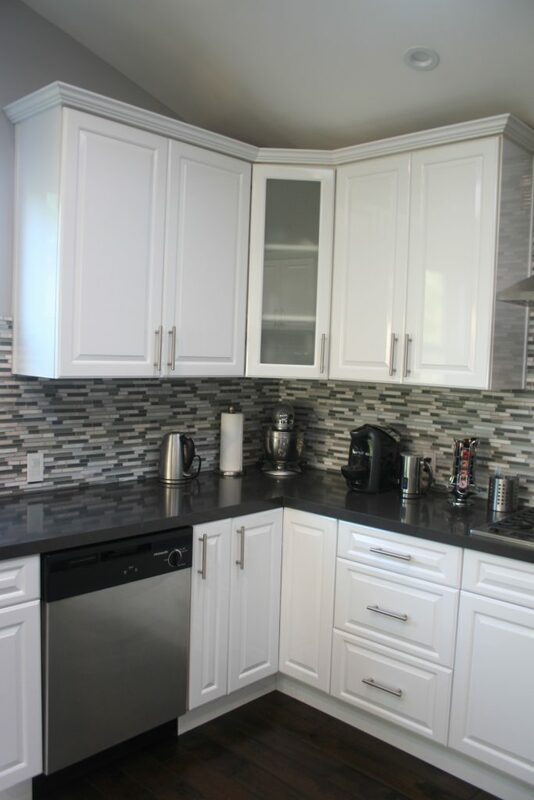 When we purchased our home in 2013 the first room that I suggested we change was the kitchen. Instead of it being in the front of the house facing the street, we relocated to the back, facing the yard. This was the beginning of what snowballed into an addition and a complete remodel of the house. But after all the construction dust was finally wiped away, it was more than worth the time, effort and cost that was put into making the changes. 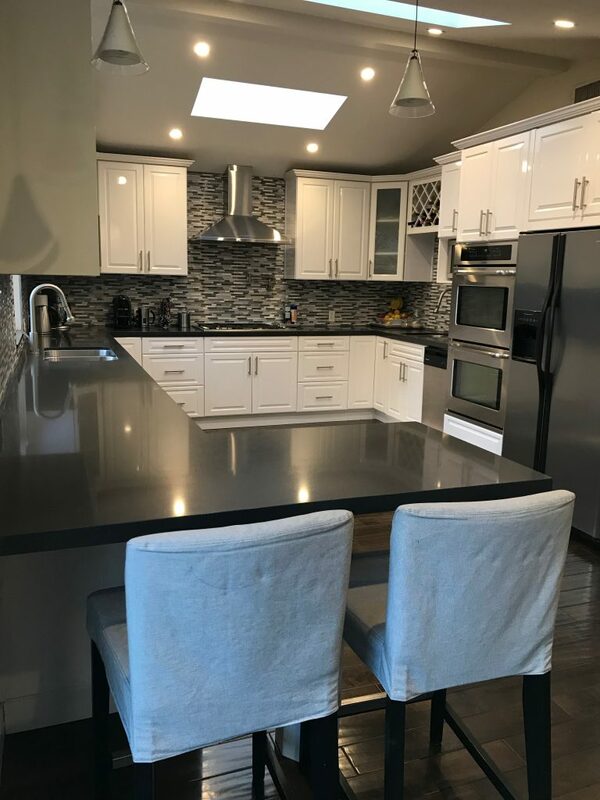 My husband and I designed the kitchen to serve our kosher dietary needs with an open floor plan to allow for an easy flow into the living and dinning spaces. 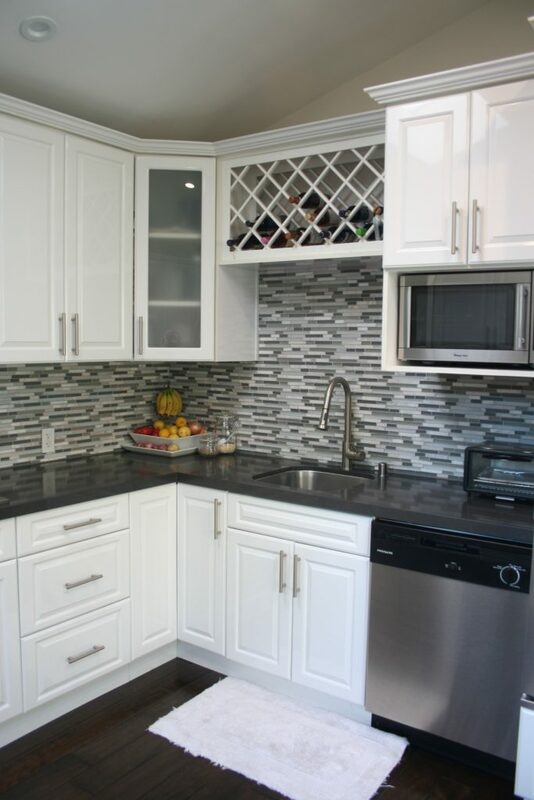 There is a deep pantry closet with pull out shelving for easy access and deep pantry cabinets that are used for storing items bought in bulk and larger appliances such as the slow cooker and coffee urn. 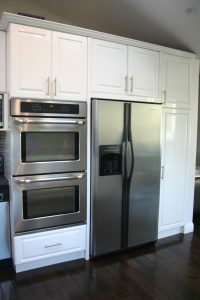 All of the built-in appliances are Frigidaire brand. We’ve had the refrigerator for almost 15 years and had the cabinets built to accommodate its size. The electric double wall oven conveniently has the “Sabbath mode” feature that allows the oven to stay on indefinitely and the door to be opened without the lights coming on. In addition to baking and roasting, we use it to warm our Friday night Shabbat meal by using the “Sabbath mode’ setting and putting the food in before the onset of Shabbat. I chose to have the top oven reserved as the dairy oven and the bottom oven as the meat oven because I use the meat oven more frequently and thought it would be easier to access instead of having to lift heavier roasts into the upper oven. The space below the ovens was originally meant for a warming drawer but because we use the “Sabbath mode” on the oven there wasn’t a need for an additional warmer. The drawer that is in its place is used to store kitchen linens. The back right corner is designated as the dairy corner with an extra deep single sink and dishwasher. Along with the microwave and toaster oven (bought for $20 at Walgreens when we were just married) breakfast and school lunch prep happens here and most weeknight dinners. 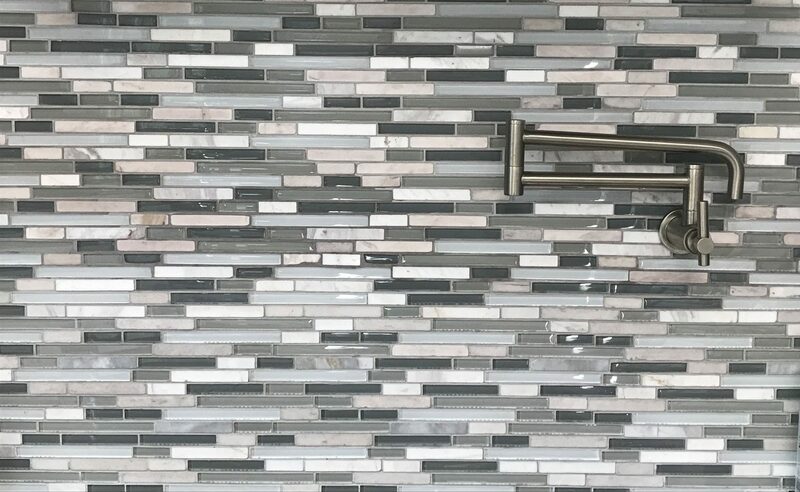 We chose the 5 burner gas range top because of it’s practical design. The grates are on a single plane which allows pots and pans to be easily slid from one burner to another. I liked that the ignition knobs are located on the top and side of the burners instead of front and center because it deters children from reaching to play with them. The back left corner is used for a coffee/tea station and baking area. The cabinets above hold baking staples while the cabinets below contain baking and sheet pans. 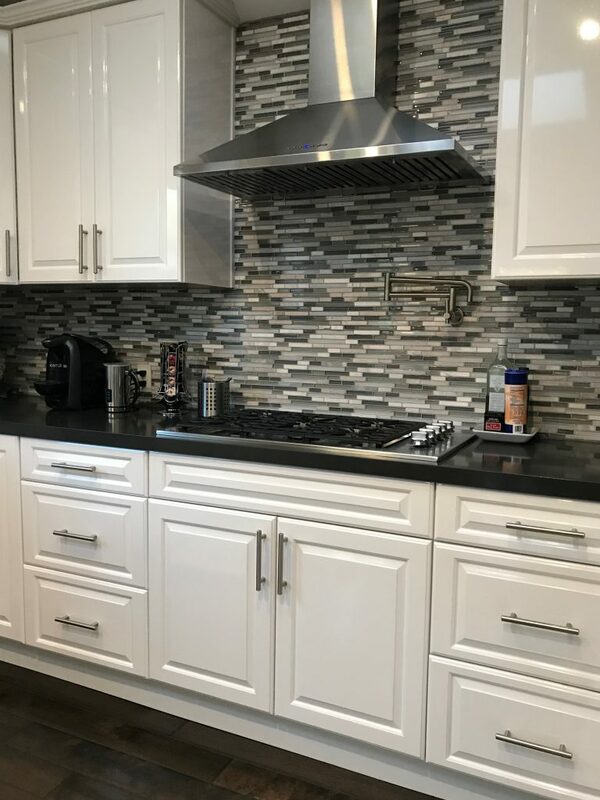 Both of the bottom corner cabinets have two shelf lazy Susan hardware for easy access and to make the most of the space. The left side of the kitchen has a double sink that is used for meat and parve dishes. And a dishwasher for meat dishes. Instead of an island, the end of the kitchen that separates it from the living and dinning areas is capped with a counter height bar. It’s a convenient place for the children to work on homework while I cook dinner or to lay out a buffet while entertaining. 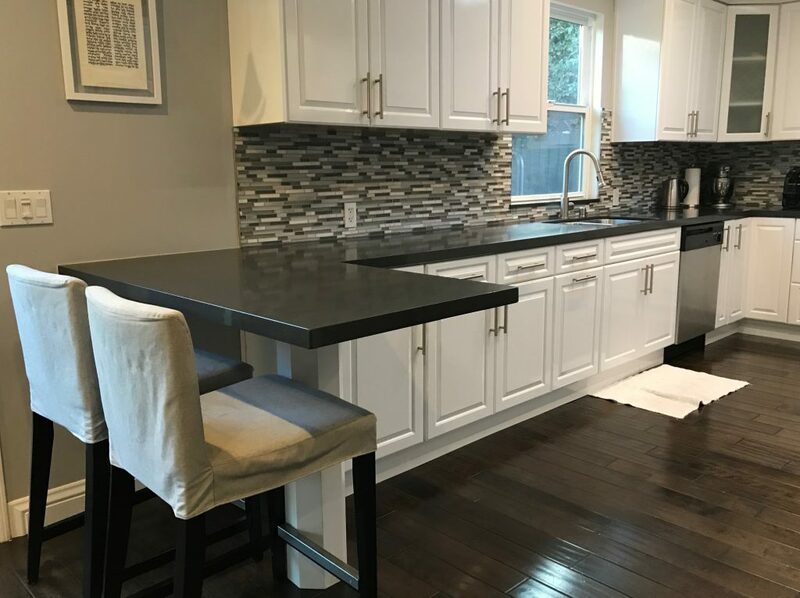 We chose quartz countertops because of their durability and a glossy stain resistant finish on the cabinets because they are easily wiped cleaned. Lastly, during the final phases of construction, we decided to have a vaulted ceiling with two skylights to allow for ample natural light durning the day and two sets of recessed LED lights. Thanks so much for stopping by. Come by anytime to see what’s cooking!